This pilot, a two-arm clinical trial, is the latest in a series of related studies at Marshall University related to dietary walnut links to tumor growth, survival, and metastasis in breast cancer. In this first clinical trial, women with breast lumps large enough for research and pathology biopsies were recruited and randomized to walnut consuming or control groups. Immediately following biopsy collection, women in the walnut group began to consume two ounces of walnuts per day until follow-up surgery. Pathological studies confirmed that lumps were breast cancer in all women who remained in the trial. At surgery, about two weeks after biopsy, additional specimens were taken from the breast cancers. The researchers reported that the changes in gene expression in the surgical specimen compared to baseline were determined in each individual woman in walnut-consuming (n = 5) and control (n = 5) groups. 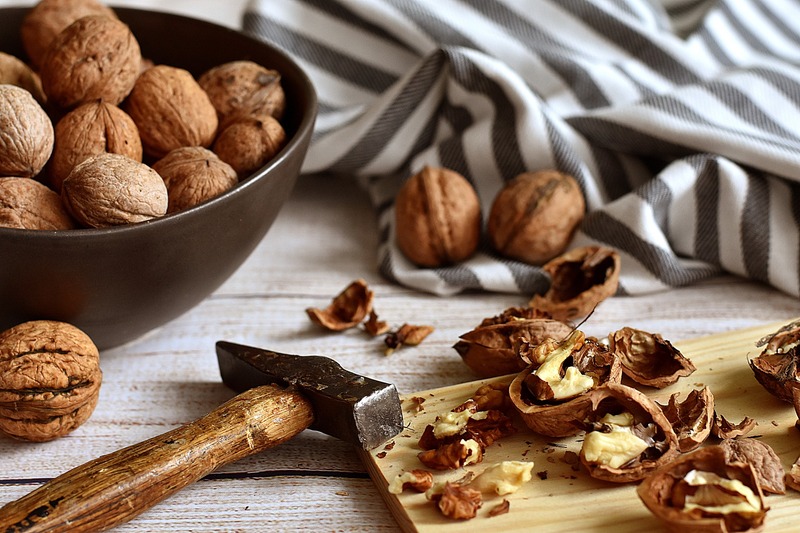 RNA sequencing expression profiling revealed that expression of 456 identified genes was significantly changed in the tumor due to walnut consumption. Ingenuity Pathway Analysis showed activation of pathways that promote apoptosis and cell adhesion and inhibition of pathways that promote cell proliferation and migration.